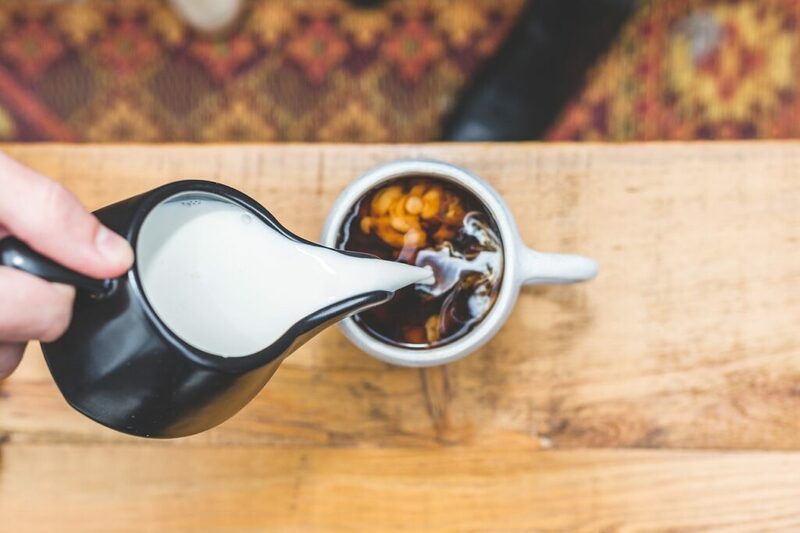 6 Recipes for Homemade Coffee Creamer | Minas Espresso Inc. Bet you didn’t know you can make your own coffee creamer! You can, and it will cost you less money than it would to buy your coffee at the nearest café. If you prefer your coffee with cream and a little flavor, but you also want to avoid all the extra sugars and chemicals you can’t pronounce, then these homemade flavored coffee creamer recipes are for you! Check them out! Combine milk, syrup, vanilla extract, and vanilla bean powder in a jar and shake until well mixed. Add the heavy cream and stir gently. This creamer can be stored in the fridge for up to 1 week. Gently swirl the jar before pouring the creamer into your coffee. Whisk everything together until evenly combined and clump-free throughout. Pour into a jar with a tight-fitting lid and store in the fridge up to milk’s expiration date (mark it on the jar). Pour all ingredients into a blender for about 30 seconds. Or, pour all ingredients into the jar and shake well until fully blended. *Using all half-and-half will make for a richer, thicker texture. Combine everything in a small saucepan and bring to a simmer over medium heat. Whisk frequently. Once everything is well mixed remove from heat and use immediately or wait for it to completely cool and store in a jar in the fridge. After refrigerating, the pumpkin and spices will settle to the bottom, so either shake or stir the creamer before adding it to your coffee. Whisk ingredients over low heat in a small saucepan until thoroughly combined. Use immediately or refrigerate for later. Add water and sugar to a saucepan over medium-high heat, stirring until it’s heated, and sugar is dissolved, about 2-3 minutes. Remove from heat then measure 1 cup of the simple syrup and whisk in vanilla and salt. (Save the remaining syrup for another time or discard.) Allow to cool 5-10 minutes before adding the half-and-half. Stir well. Store in a jar in the fridge and shake or stir before use.